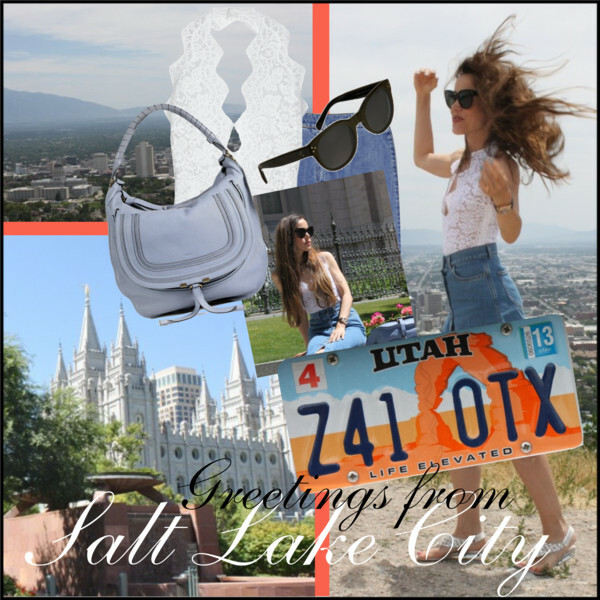 Next stop: Salt Lake City, Utah. 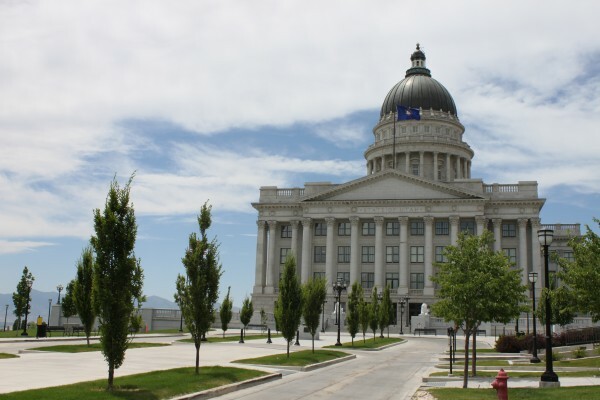 The state’s capital is first and foremost known as home of the Mormon’s headquarter. The influence of the The Church of Jesus Christ of Latter-day Saints (LDS Church) can be felt everywhere. 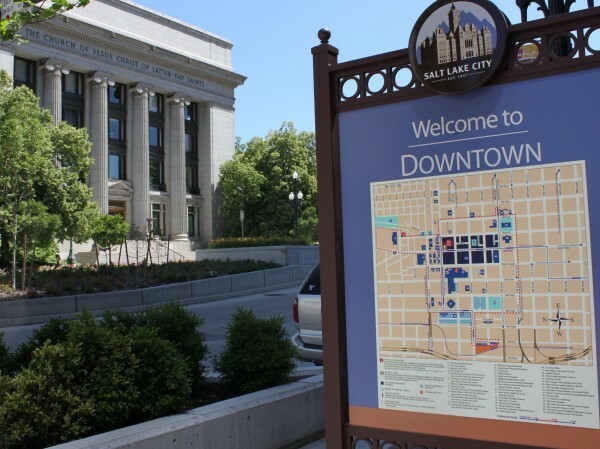 The city was founded in 1847 by Brigham Young and his Mormon followers, who extensively irrigated and cultivated the arid valley. It is such a clean and neat place that has a lot of beautiful old buildings. I was there Sunday and it was all closed due to the religious tradition. 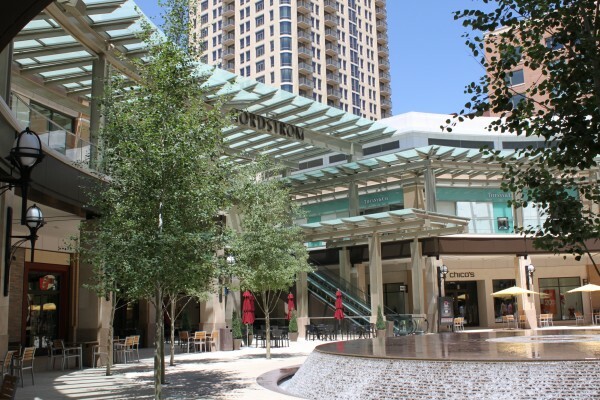 Mormons self-identify as Christian, though some of their beliefs differ from mainstream Christianity. Between 1852 and 1890 many Mormons openly practiced plural marriage, a form of religious polygamy, which is not allowed anymore. 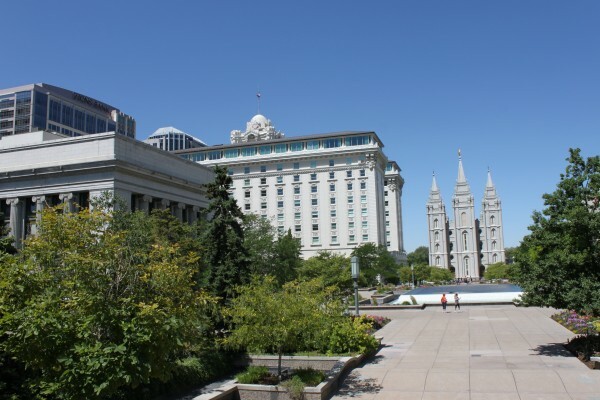 Today, it is practiced only by fundamentalist groups that have broken with the LDS Church. 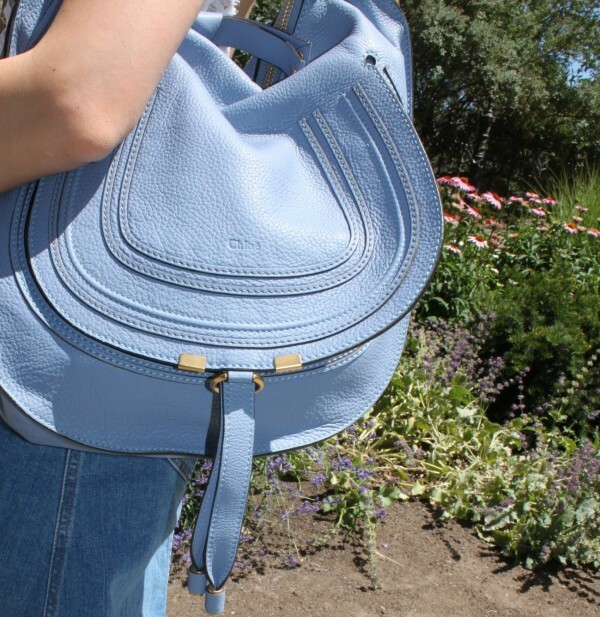 My look to explore the city: Lace top and denim skirt by Stella McCartney, small Marcie hobo bag in Skylight blue by Chloé, Audrey wayfarer sunglasses by Céline and embellished thong sandals by Prada. On my nails: Fly (turquoise) with one layer of Save me (hologram silver glitter), both from the Nicki Menaj by OPI collection. 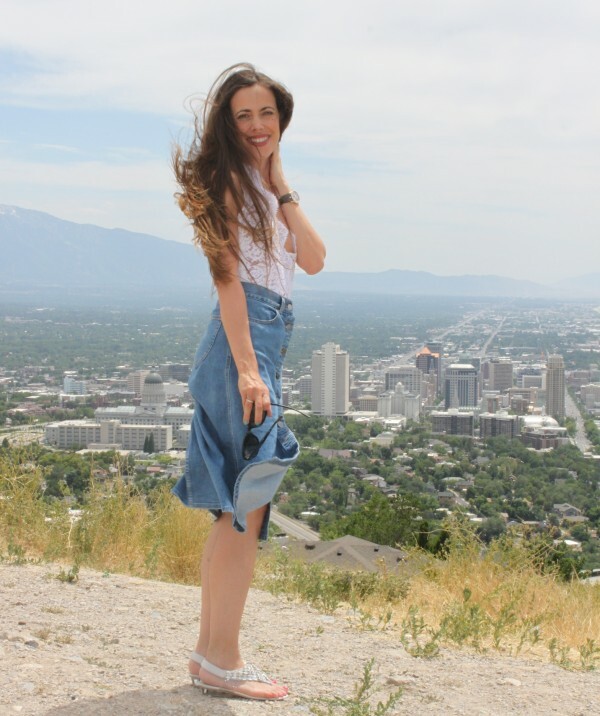 Let me take you on a tour through the city and enjoy some photos of my outfit. 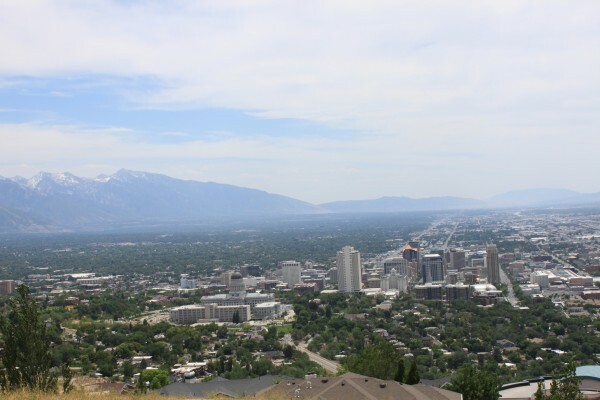 View from the top: The skyline of Salt Lake City in front of the mountains. 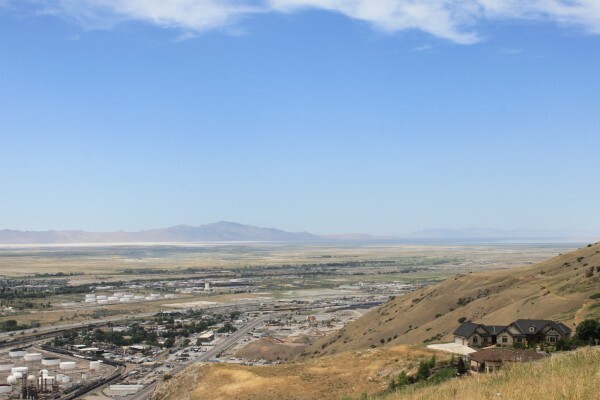 Salt Lake City is very close to the Great Salt Lake which you can see in the back. 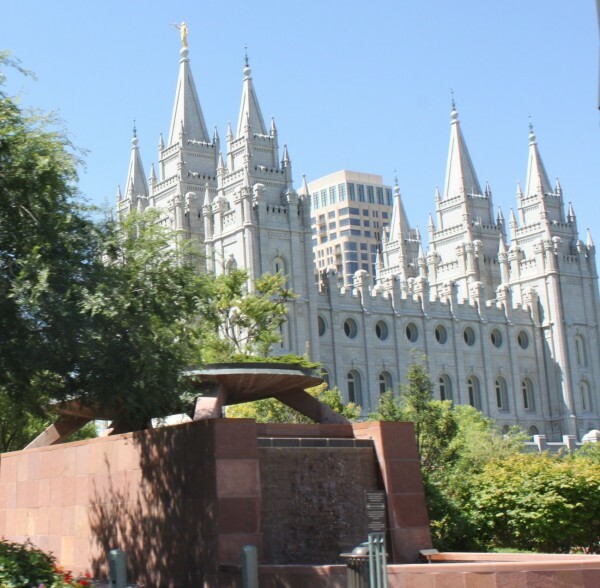 In the back: Temple Square in Downtown Salt Lake City. 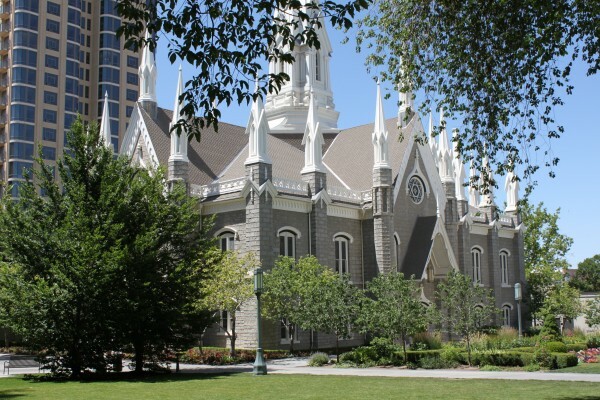 The Salt Lake Temple is one of the most iconic images of the LDS Church. 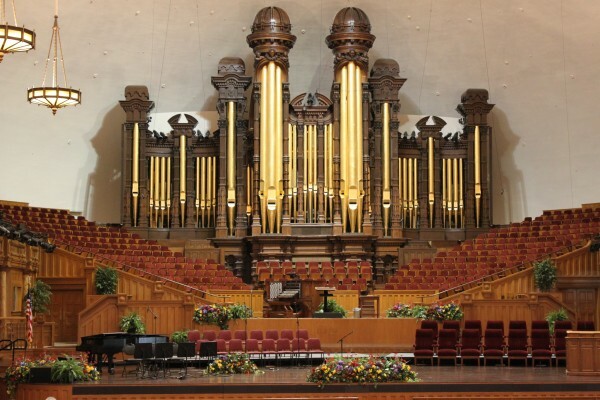 Mormon Tabernacle, home of the famous Mormon Tabernacle Choir, that is a Grammy and Emmy Award winning, 360-member, all-volunteer choir.